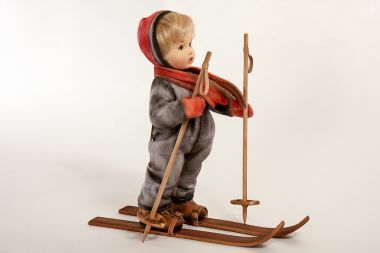 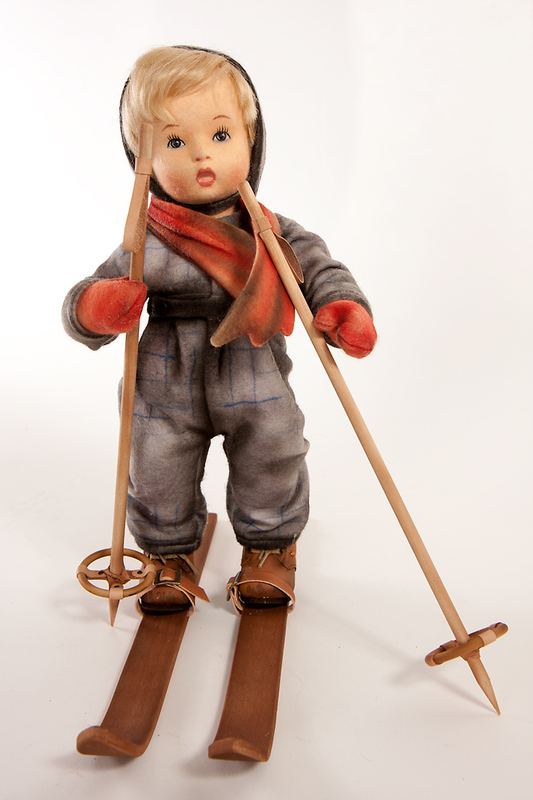 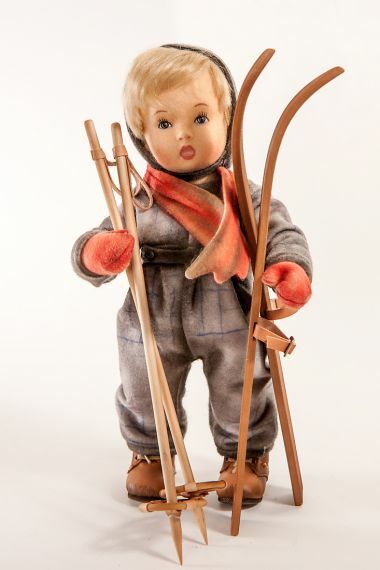 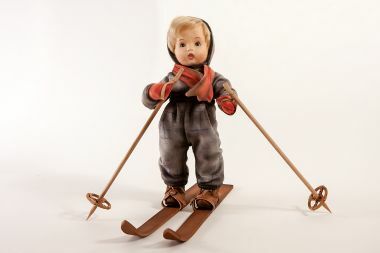 The Hummel Skier is the second in the R. John Wright Hummel collection. 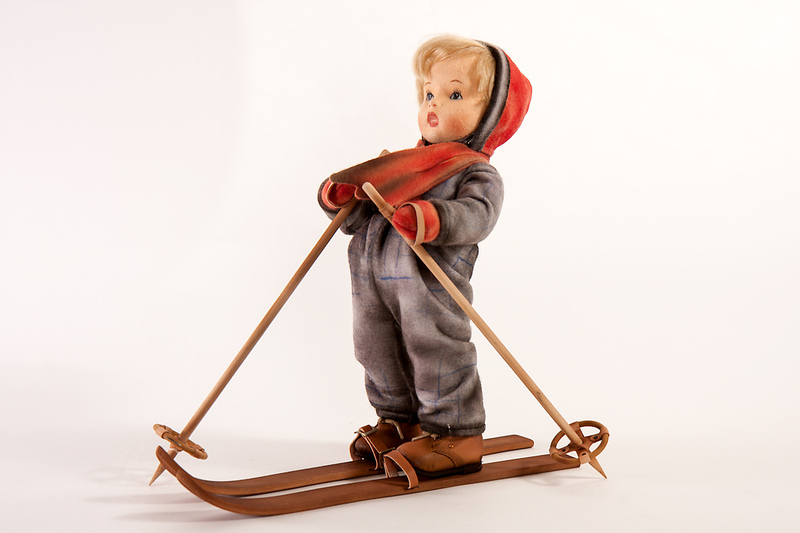 The Skier is made of the finest all wool felt and is fully jointed. Featuring the RJW ball & socket system with internal wood mechanism, he stands approximately 12 inches tall. His molded felt face has hand-painted features and is artistically shaded to resemble the original Hummel figurine. His period ensemble ski suit is also finest all felt, and under his ski cap is his fine mohair wig. 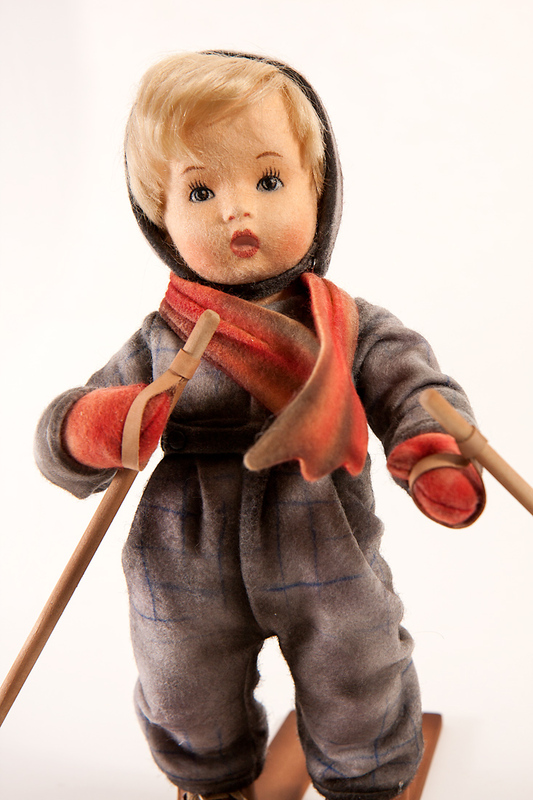 He wears hand cobbled leather boots and wood skis, and holds hand made wood ski poles with leather hand straps. 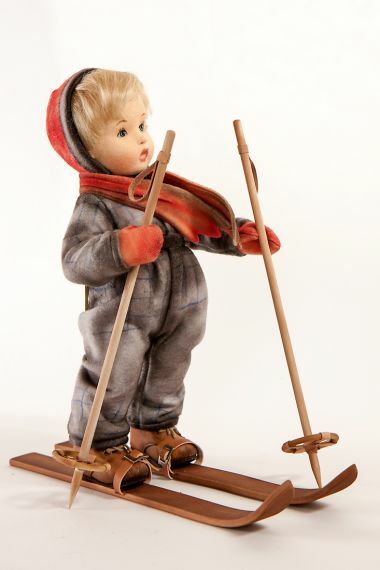 This piece is limited worldwide to 150 pieces. 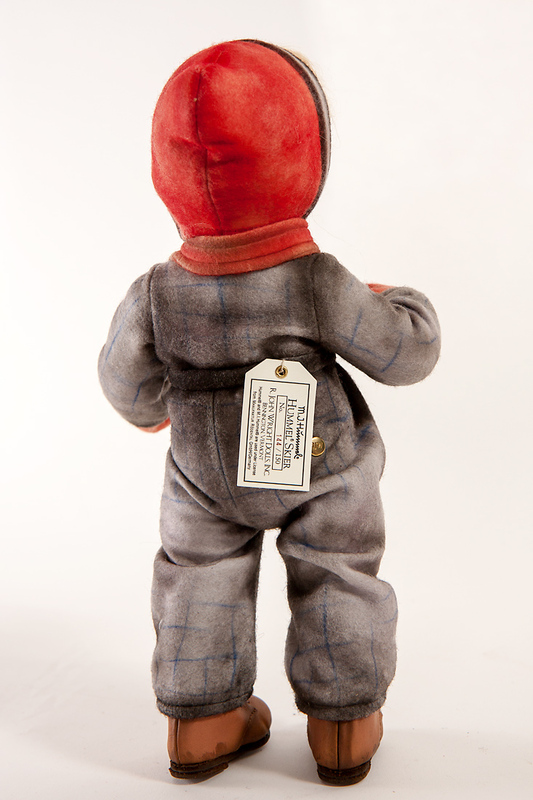 He comes in a deluxe RJW presentation box with a signed, numbered certificate of authenticity.